Sometime after 2009 the U.S. government, concerned about the number of suspicious flights that were landing in Honduras, expanded its intelligence-sharing with the government of the Central American country to include aerial interdiction efforts. On two occasions in July 2012, however, the Honduran air force shot down planes suspected of drug trafficking. In neither case did the suspect planes’ occupants threaten Honduran air force aircraft, but all aboard died in both incidents. As a result, in mid-August 2012, the U.S. Southern Command suspended its intelligence-sharing with the Hondurans on aerial interdiction until the following November, when strict procedures had been put in place prohibiting all but warning shots in most cases. There have been no known shootdown incidents in Honduras since. But that could change. 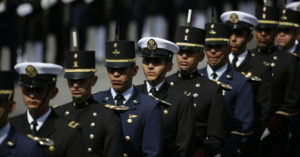 This month, the Honduran Congress passed a new law empowering the defense minister to order the air force to shoot down suspected smuggling planes flying over the country’s Caribbean coast. By April, Honduras will take delivery of Israeli-made radars allowing it to detect the aircraft to be targeted. The spread of shootdown policies in Latin America, though, goes beyond states that get U.S. aid. Last October, the armed forces in Venezuela claimed to have shot down two light aircraft, the first since a law authorizing shootdowns passed in May 2012. It is unclear what became of the crew members or any drugs that might have been aboard. In Bolivia, a bill is moving through the national legislature that would also authorize the shooting down of suspicious planes. For its part, Brazil enacted a law in 1998 authorizing shootdowns of suspect planes, and has invested heavily in radar and other technology to monitor airspace over the Amazon basin and its 11,000 miles of international borders. However, Brazil has taken a more cautious approach, taking six years to develop regulations to implement the law and rarely, if ever, resorting to shootdowns. Chile and Uruguay, too, have laws authorizing shootdowns, but have not exercised that option. In Argentina, an opposition-proposed shootdown law has met resistance from the defense minister. While uncontrolled aerial trafficking is a real concern in the Americas, the spread of shootdown policies should also concern us, as a case from Peru more than a decade ago highlights. In April 2001, the Peruvian air force shot down a plane over the Amazon River that intelligence indicated might be carrying illegal drugs destined for the United States. Peru had already brought down about 30 such suspicious planes during the 1990s in a program launched with the help of the United States. In this case, however, the passengers were in fact a family of American missionaries from Michigan, including two children. Veronica Bowers and her infant daughter perished when their plane plummeted into the Amazon. The United States subsequently withdrew its support from the program. A similar program has continued in Colombia, but it must follow a set of strict safeguards that, in nearly all cases, prohibit firing on civilian aircraft. The authority to shoot down suspicious but unthreatening civilian aircraft should not be taken lightly. With its spread comes a risk that innocent people may die. Moreover, the laws of war do not apply here. International law does: The International Civil Aviation Organization holds that “every state must refrain from resorting to the use of weapons against civil aircraft in flight and that, in case the case of interception, the lives of persons on board and the safety of aircraft must not be endangered.” When Latin American air forces shoot down civilian planes, they are doing the opposite of that. A suspicious but nonthreatening aircraft that refuses calls to land must be followed, not shot out of the sky. If the plane crosses a border, the neighboring country’s security forces must be alerted. This, in turn, requires greater cooperation between neighboring countries’ military and law-enforcement bodies, which especially in Central America has been hobbled both by cross-border mistrust and by a lack of radars and aircraft. If the suspicious plane lands, security forces should be on hand to meet it, search it and arrest those on board. If no forces are available on land to meet the plane, that is a clear sign of a government falling far short of what it must do to control its own territory. In territories like the Mosquito Coast of Honduras and Nicaragua, or the Peten jungle of Guatemala, this state presence is sorely lacking today. But no civilians should die in midair because a government, lacking capable land forces, sees no other option but to shoot to kill. Moreover, the response might be disproportionate to the threat. Throughout Latin America, U.S. authorities estimate that aerial trafficking makes up only about 20 percent of total drug smuggling. The overwhelming majority takes the maritime route northward to the United States. Countries must control their coastlines and airspace to the extent possible. But to protect innocent lives, they must do so with utmost adherence to procedure and safeguards. Alarmingly, it is far from clear that all of the new shootdown laws and policies being put in place throughout Latin America are being implemented with the rigor necessary to avoid future tragedies. Click here to read this commentary at the World Politics Review.